StP Wolfsberg, Etaples les Trembles H.K.B., Hardelot to Merlimont, Pas-De-Calais, K.V.A. D1 . 4 x 17cm K.18 guns. The battery is well camouflaged in the woodland. Etaples les Trembles H.K.B. (Heers Kusten Batterie) an army battery. Allée Ravel parking area for bunker fans. 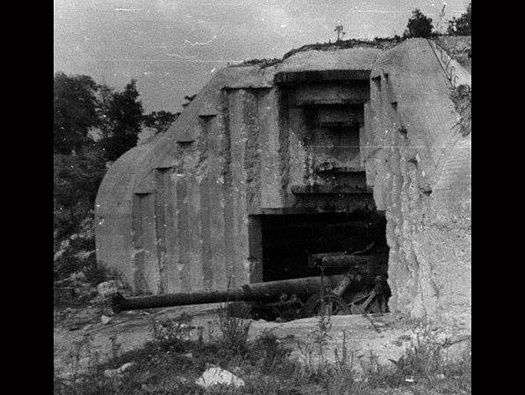 R688 casemate for a 17cm gun with an angle of fire of 120deg. and built in 'A'. 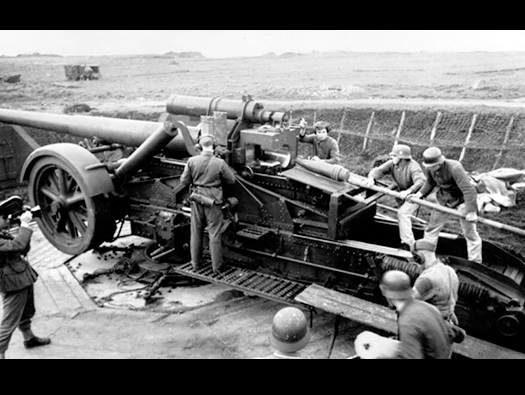 As you can see a very heavy gun, it can be fired on a turntable or on its carriage (Lafette). It took a large crew and needed a heavy towing tractor to pull it. The only problem was the time to assemble and disassembled, it took too long and many were left behind as the Germans retreated through France. These casemates are a massive design. Thank you John for posing. I would call this 'the cap' it extends out to cover the gun from incoming artillery shells. A large area to hold a very big gun. The 17cm K18 gun was based on the 22cm carriage and it turned out to be a better gun with a long range and the ability to fire like a mortar, almost vertically. That is why this casemate was designed to allow the gun to fire 120deg. left to right and almost vertically. How the gun may have looked inside the casemate. 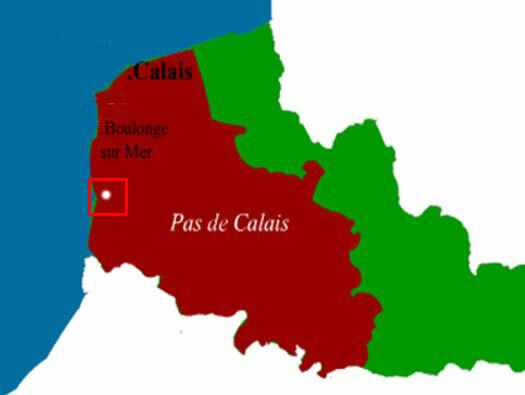 The area covered by the battery. Look at the massive steels used in the roof structure alone, it must have been a most costly bunker to produce. Two niches either side of the rear door for the storage of ready ammunition, one side shells and the other case. Quite a large room and it could hold quite a lot of ammunition. This should have been fitted with a heavy steel door that was either removed after the war and scrapped or was actually never fitted and may have been sat in a railway siding somewhere in France due to the disruption of the rail network by allied air forces. The earth pushed up around the sides to add to camouflage and extra strength against bombing. Walking to the next bunker. Walking from Turm4 to Turm3. And this is what we found!!!! Now this is Turm 2 and as usual so camouflaged by undergrowth and at the back the towns rubbish heap. We did not realise Turm1 may still be there somewhere, I have seen pictures on the Internet in fact I have seen pictures of all four so maybe the crater was an ammunition magazine blown up??? Back to the bunker hunters car park.